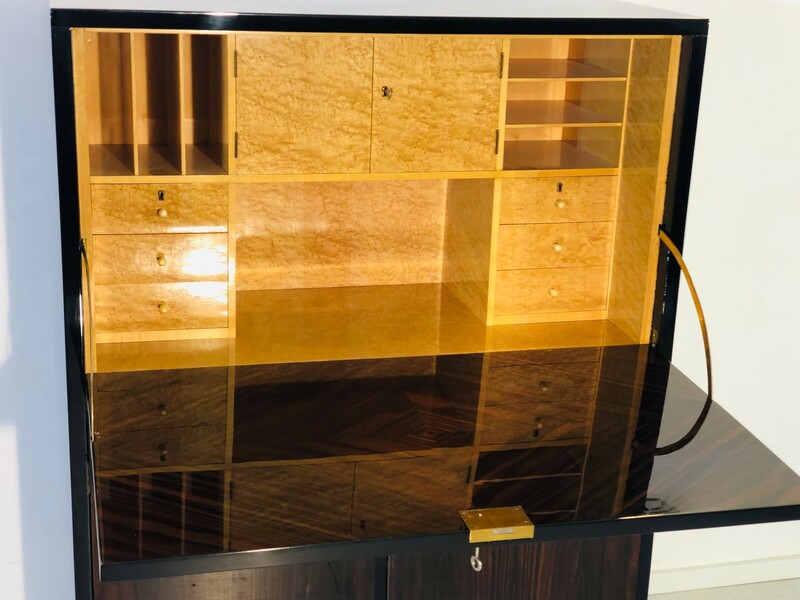 On offer is a stunning Art Deco secretary or writing cabinet build by the “Möbelfabrik zum Bruderhaus” in Reutlingen, Germany in 1925. 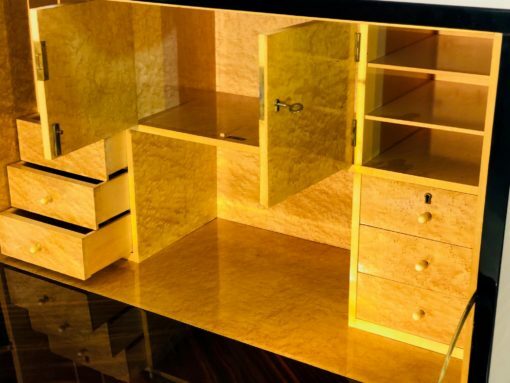 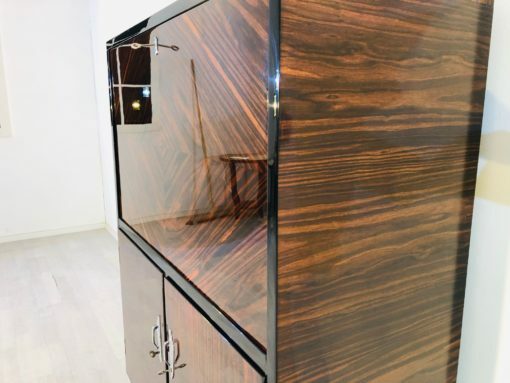 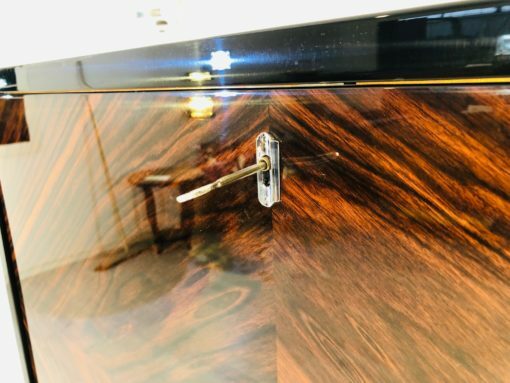 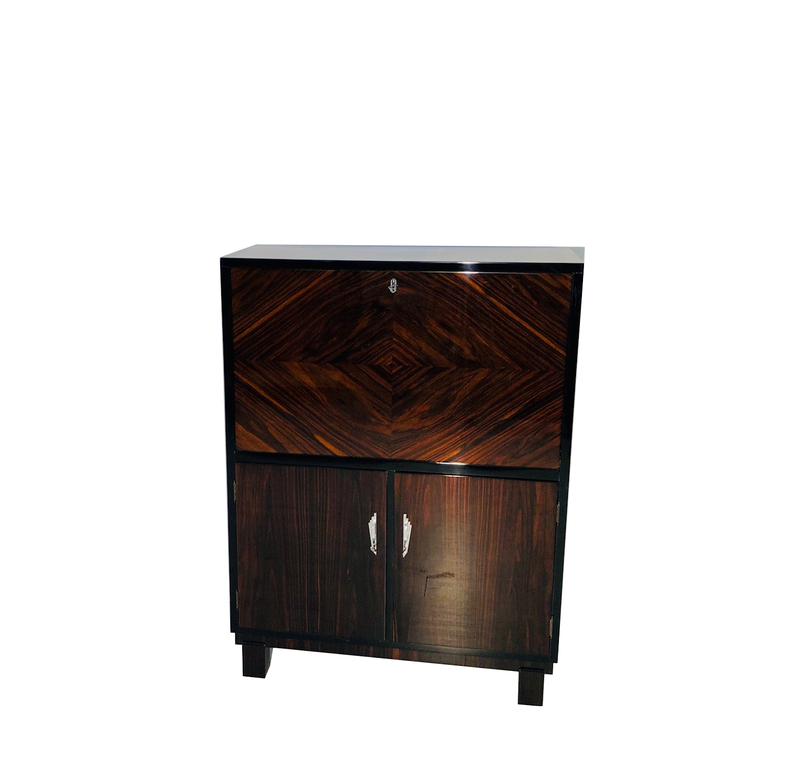 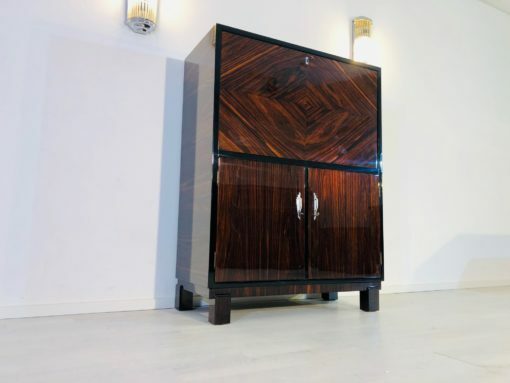 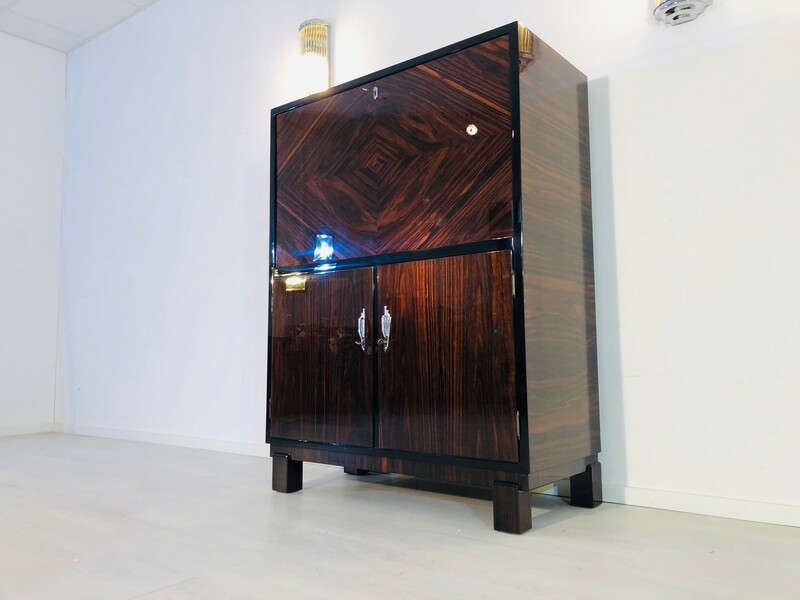 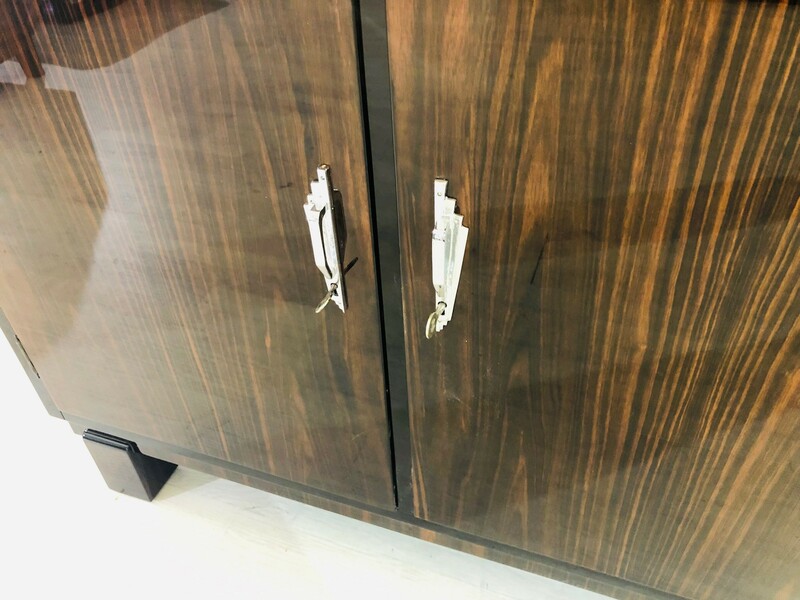 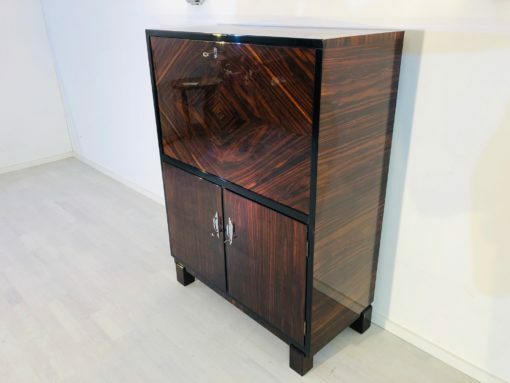 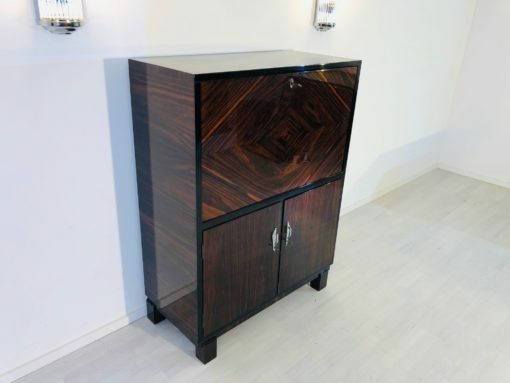 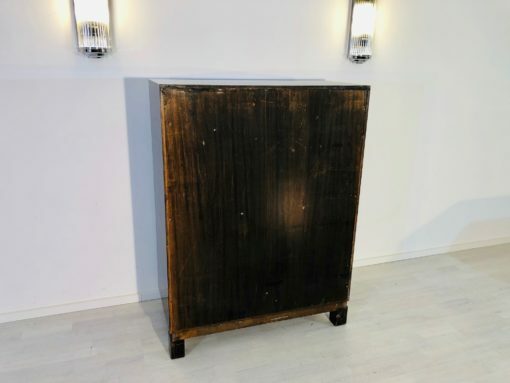 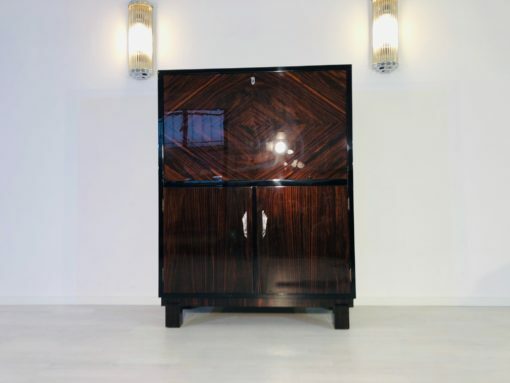 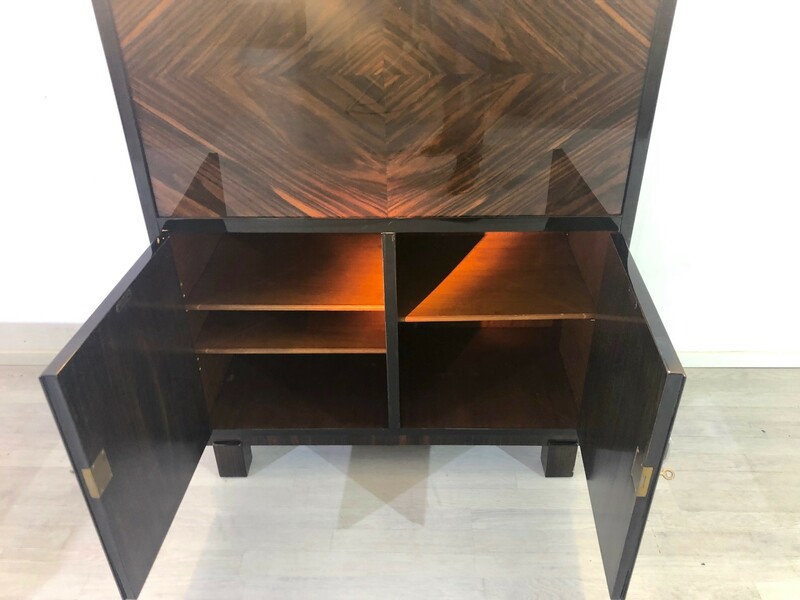 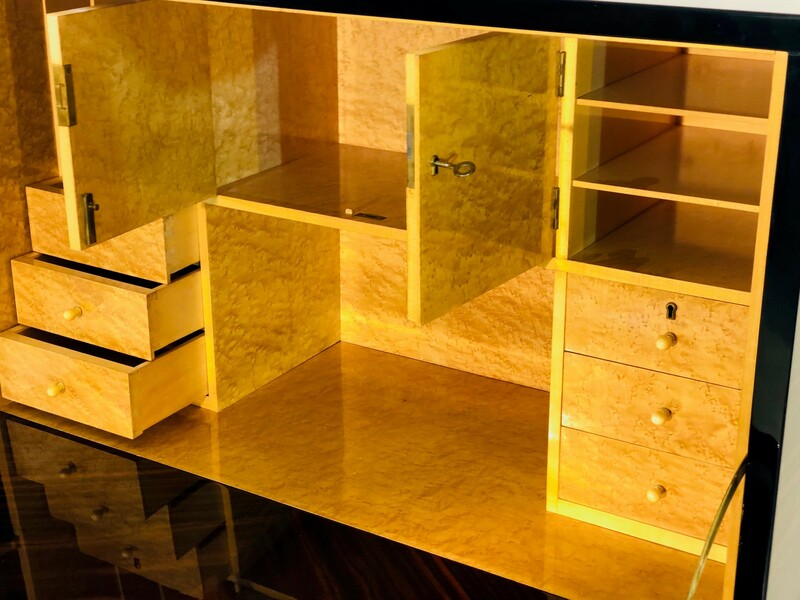 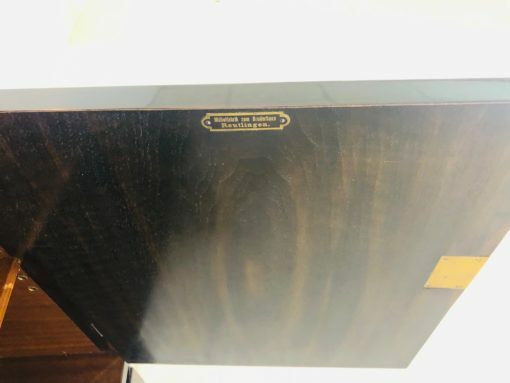 This specific cabinet features a bookmatched macassar veneer with our signature high gloss finish on the exterior and on the inside of the writing plate. 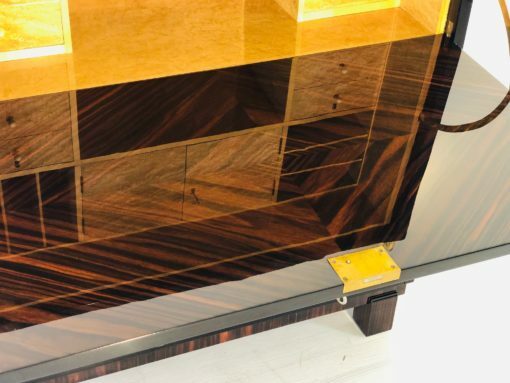 The interior is veneered with luxurious birdseye maple with the original silk matt patina. It offer storage pace in six petite drawers, multiple small shelves and behind two lockable doors in the middle compartment. 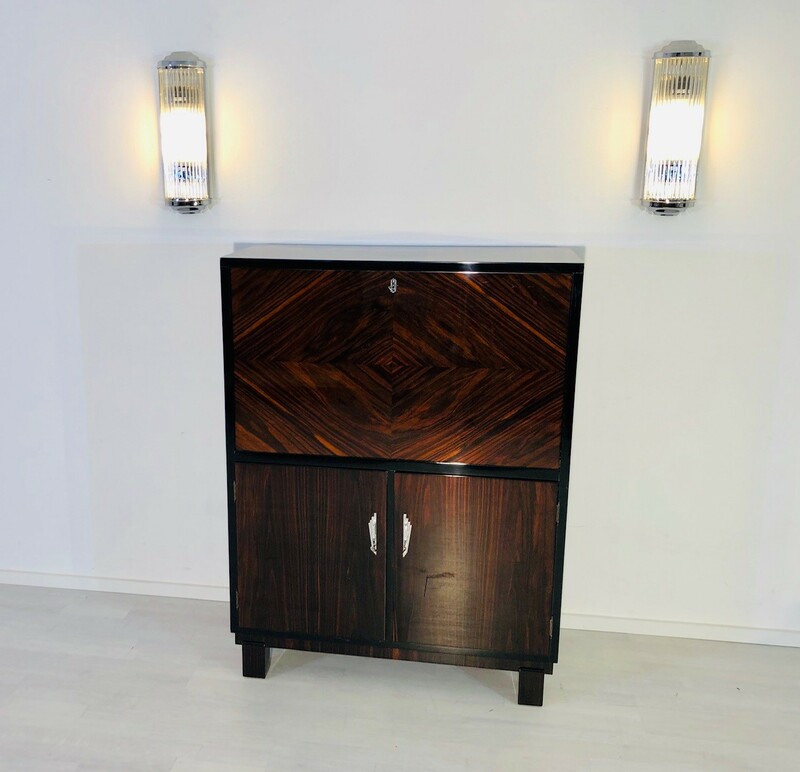 The lower commode convinces with its stunning chromed brass original Art Deco handles with sunburst details and you can find additional storage area on adjustable shelves on the inside. 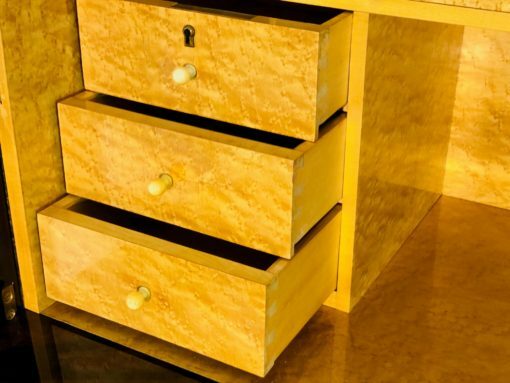 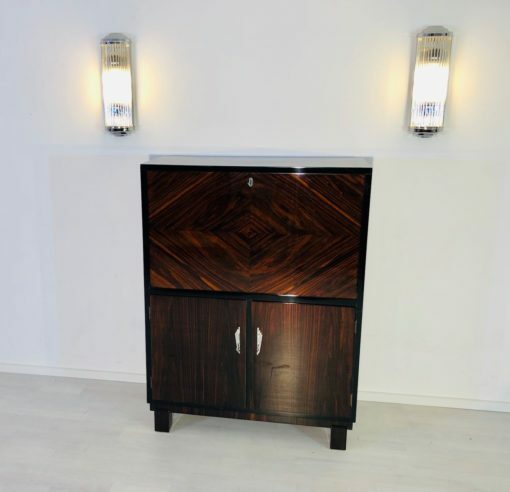 A truly marvelous piece of original Art Deco furniture with a flawless modern finish and original hardware and keys. 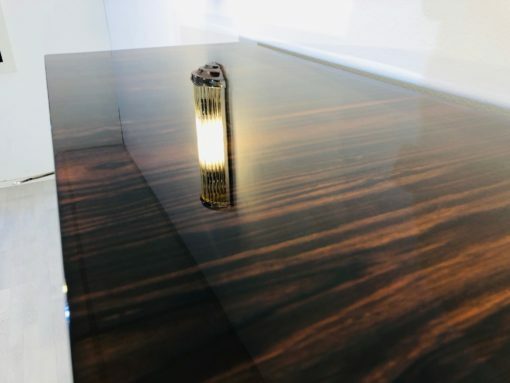 The contrast of the bright birdseye maple and the beautifully grained macassar is a real eyecatcher in every living room or hall. 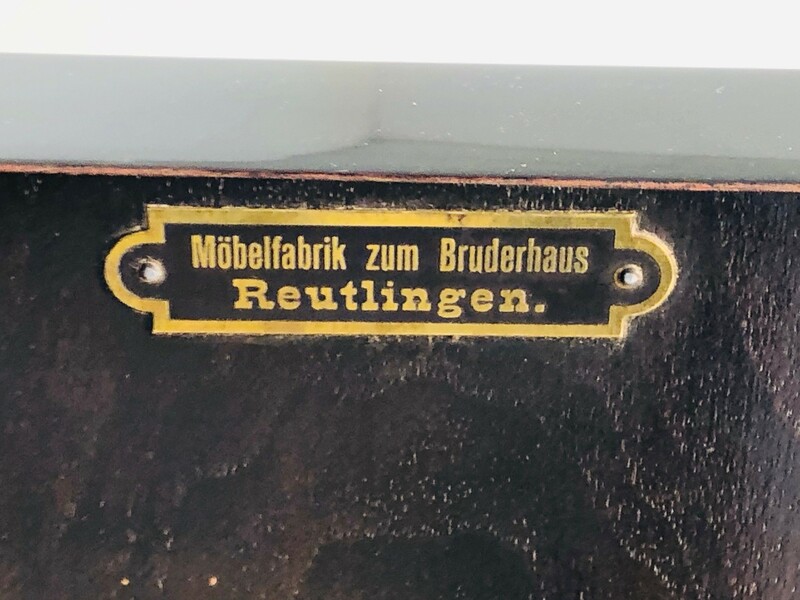 Restored by hand in our German manufactory with highest quality standards.